Hello, friends! 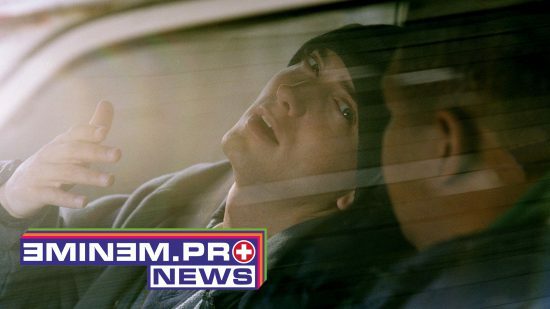 This is ePro News Moms Spaghetti with the news from Shady. On Jan 22d Mike Will Made It, producer from Atlanta, shared some photos and videos with Dr.Dre and Eminem. It made us curious: will these three gurus of musical production work together? Maybe there is an upcoming track from Dr. Dre and Eminem produced by Mike Will Made It. In the producer’s Instagram Stories video Dr. Dre calls Mike “Real hip-hop”, and Eminem as usual jokes referring to himself as “fake hip-hop”. Confirmation of our new music theory didn’t take long. Later this day Eminem shared a photo with Dr. Dre from the same studio where the three masters were working on some new killer stuff. “Still Aftermath!” was Em’s comment on the photo. Maybe Em and Dre’s track will be a part of the Bodied original soundtrack. In September 2017 Alex “Kid Twist” Larsen, a famous battle-MC and Bodied scriptwriter in an interview with Billboard magazine confirmed that tracks from Eminem and Dr.Dre will be included in Bodied. In other news. Djbooth.net has released an article about the most mysterious track from Eminem’s album Revival – the interlude. The track was created by producers Frequency and Aalias, also known together as Whole Doubts. To create the song the producer duo worked with singer Alicia Lemke, who was performing under the alias Alice and the Glass lake. Alicia died from leukemia in 2015 before she had the chance to know that her song became a part of Eminem’s album Revival. In the article producer speaks about the song’s 4 year long journey to appearing on Eminem’s album. Be sure to Read the material, find the link in our video description. On January 25th the official YouTube Eminem/Vevo channel published a behind the scenes video for Revival’s first single Walk on Water. The director, Rich Lee, shares the concept of his work and explains the pivotal scenes of the video. On the same day Billboard magazine released a huge interview with Eminem and his manager Paul Rosenberg, which has become a cover-story. Eminem and the new CEO of Def Jam were talking about their first achievements, arguments, cockroaches and the future of hip-hop. Em and Paul bring up really interesting topics, and the interview in general turned out to be very nostalgic. Look for the link in the description (video). On January 26th Eminem performed at the legendary New York club Irving Plaza. The performance was part of the 60th Grammy awards ceremony celebration. For the first time in years Eminem had a club performance and he gave the fans a chance to enjoy the atmosphere, similar to the one at the beginning of his career, when you literally could shake his hand or give him five while he is on stage. This show was also memorable because Em performed the song Riverfor the first time. Eminem also performed his hit songs Stan, Lose Yourself, Not Afraid, Soldier, My Name Is, The Real Slim Shady , Without Me, Rap God, Love the Way You Lie and new single Walk on Water. All the female parts were incredibly sung by beautiful Skylar Grey, she substituted Dido, Beyoncé and Rihanna, like she did before. At the end of their performance Em gave Skylar Grey a big hug. The 45 year old rapper once again impressed the audience with his fast flow in Rap God. Watch the whole performance or its best moments on our channel. Check out the unpacking of a UK CD version of Revival that we’ve managed to get our hands on. The video is also on our channel. Eminem officially confirmed his European tour in support of Revival. The tour starts in Norway on June 30th. Em will also visit Sweden,Italy, Germany, the Netherlands and the UK. Ticket sales had started on February 2nd. The are as usual lots of people willing to see Eminem’s European Revival tour as tickets had been sold out almost immediately. Our editors were lucky enough to buy tickets on time so we are prepping for the trip. If you are willing to join us in a big fan event, like it was last summer in Glazgo, contact us through support [dog] eminem(.)pro. On January 30th Eminem.pro released a special issue of EJ magazine, entirely dedicated to Revival. It’s an important release, because for the first time the magazine is also available in English. The full version is not yet translated but we have prepared for you a whole series of Revival reviews. We hope it will help you to appreciate Marshall’s album and understand what he was trying to convey through his music. The magazine is available for free in PDF and through our Android and iOS apps. That’s it for today. Subscribe & follow or you’ll get swallowed by an avocado and like if Marya Carey makes you uptight.